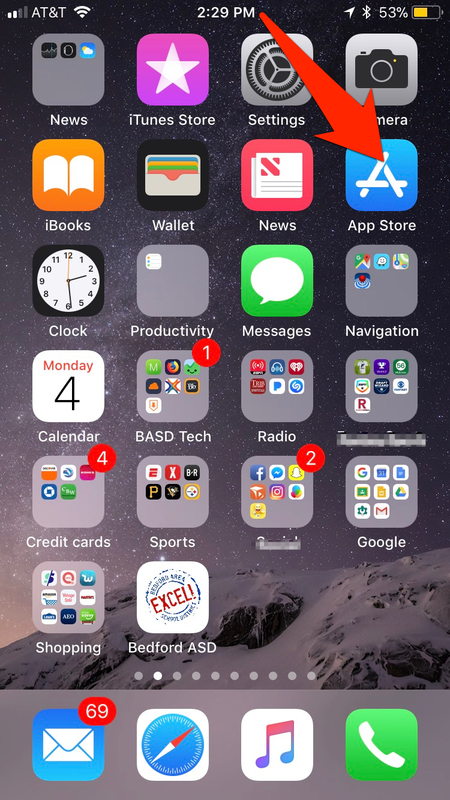 The Bedford Area School District has just released our New Mobile Website App. The app can be found in the iTunes Store and Google Play Store. With the update of iTunes 12.7, apps for your iPhone and iPads can no longer be purchased on your Computer. Therefore, you will be required to download your apps from your iPhone or iPad directly from the App Store. Here are the steps to do this from you iOS device. 1. Click on the App Store icon. 2. 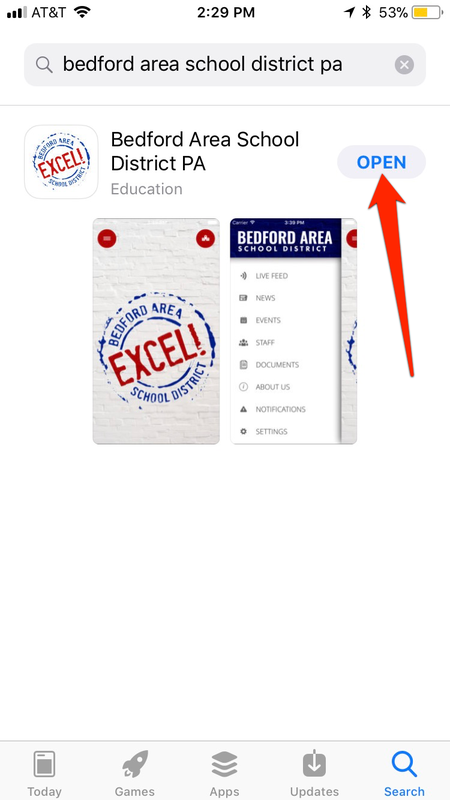 Then search for "Bedford Area School District PA" and click on "Get". If you have any questions or concerns, please contact John Diehl at 814-623-4208 or email at diehlj@bedfordasd.org.